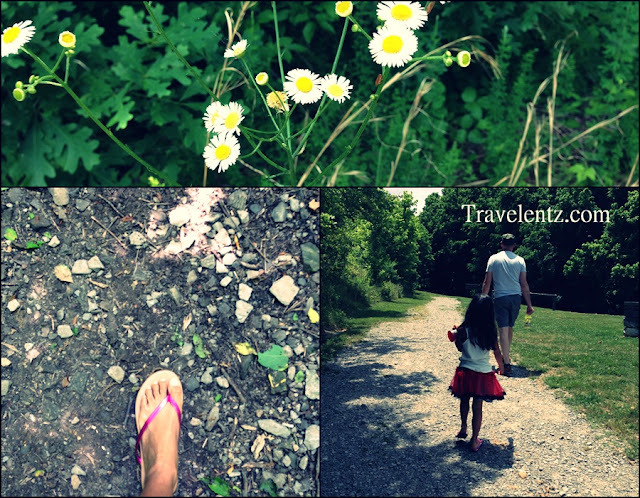 It's been a while am not online... what should I say, making the best of summer with little travelentz. This month, the weather is unpredictable so my family got a chance going hiking in Natchez Trace Parkway: Garrison Creek. If you're familiar with the park or visited it, there are things to do aside from hiking, all you need,plan well where to go and your preference. The Natchez Trace Parkway is huge and best in scenic byways. There are different routes from Tennessee- Mississippi- Alabama. Considering, in-laws are coming down next week, then hubby and I decided to keep this park when they come.Hopefully, the weather would cooperate. Well,the Garrison Creek is closed to my home and this trip was unplanned.The first stop was in Garrison Creek and decided to hiked on the same day, little travelentz and I are not wearing a hiking shoes, glad it was a short loop and easy even if you're wearing flip flops. If you're big on riding a horse and enjoy it, then this is the best place for you to ride and enjoy the scenery in Natchez Trace Parkway view. Picnic:If you plan your day, you can enjoy picnic with family and friends in the parkway. They have a nice settings and picnic table in the area.